Merkur's adjustable "Futur" Safety Razor allows you to change the angle of the blade inside the razor head - by twisting the upper part of the handle - to find the setting that gives you the closest, most comfortable shave. 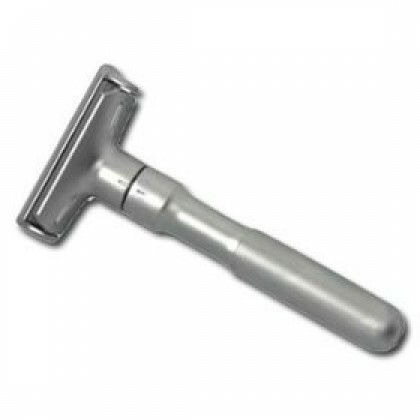 With adjustable razors you can re-adjust the angle as needed to maintain the optimum shave. 4 1/4". Chrome plate with a satin finish. Made in Germany.